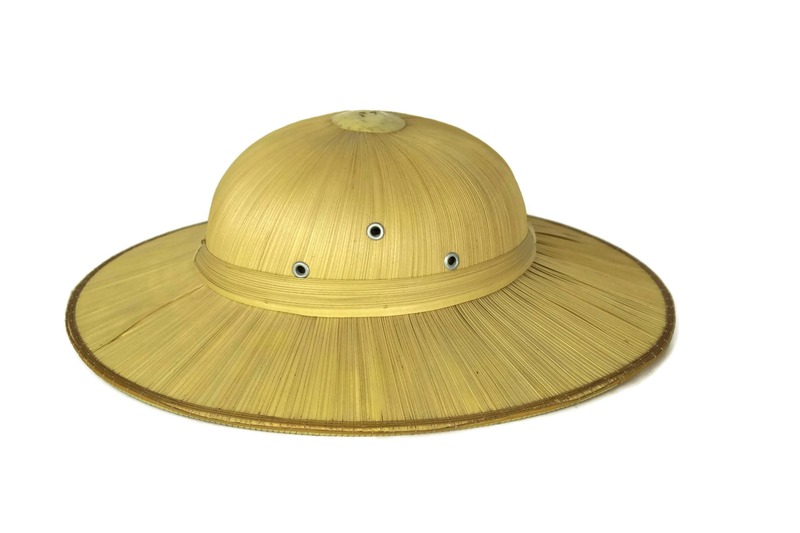 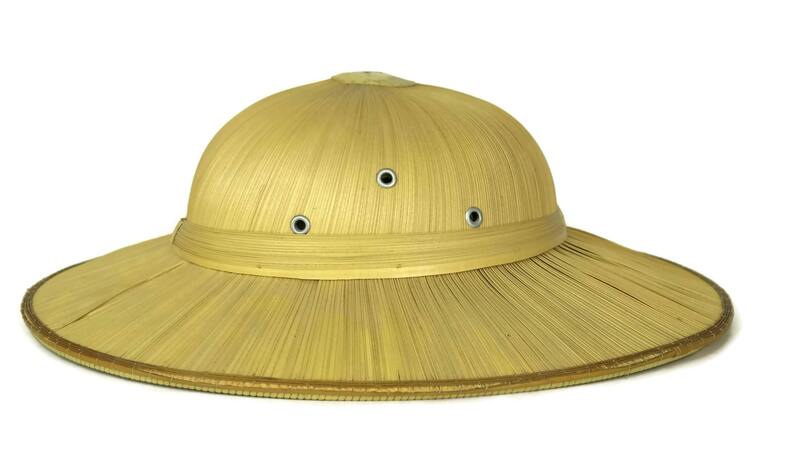 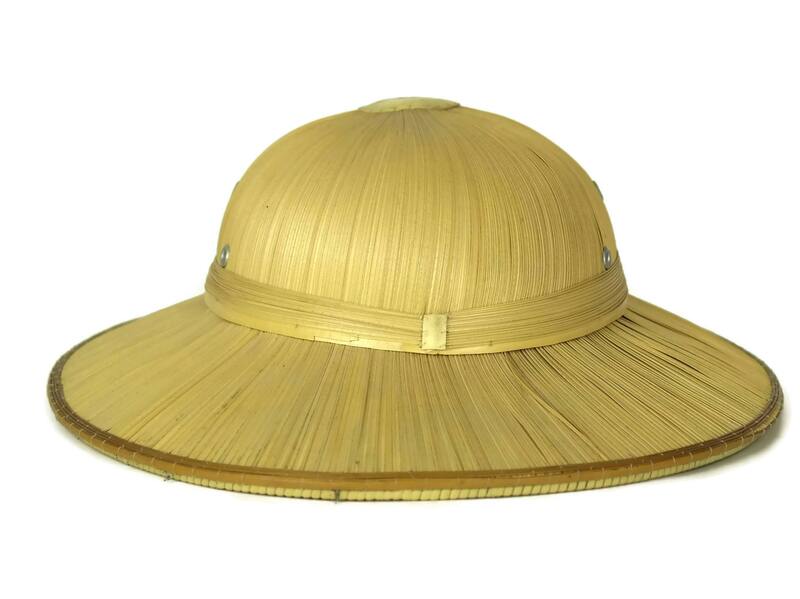 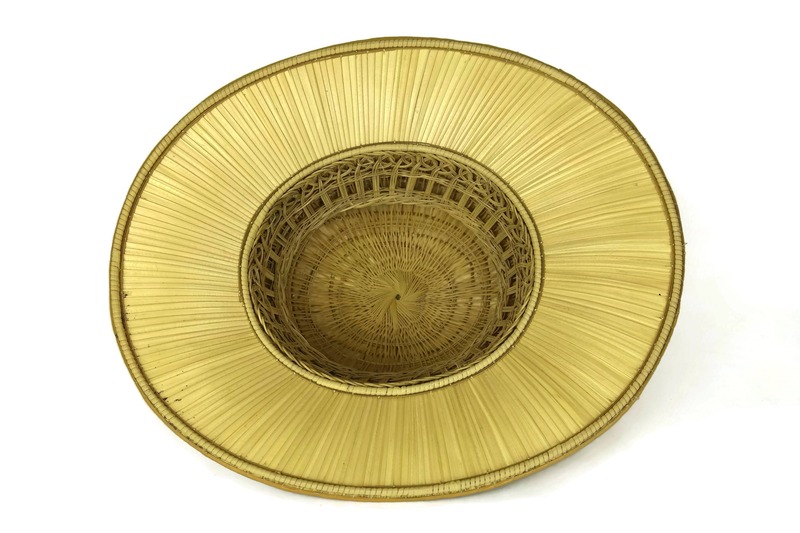 A vintage French straw pith helmet from the 1950s. 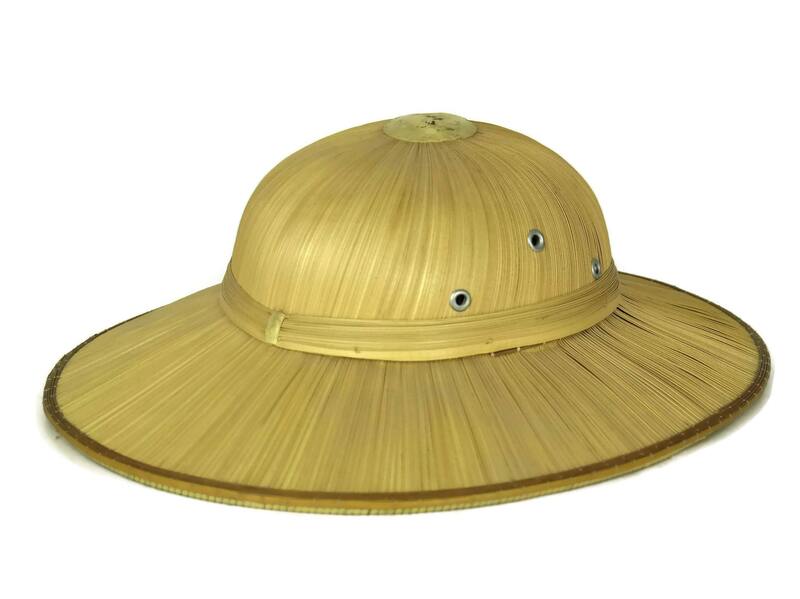 The rigid safari hat has been hand woven and features a classic form. 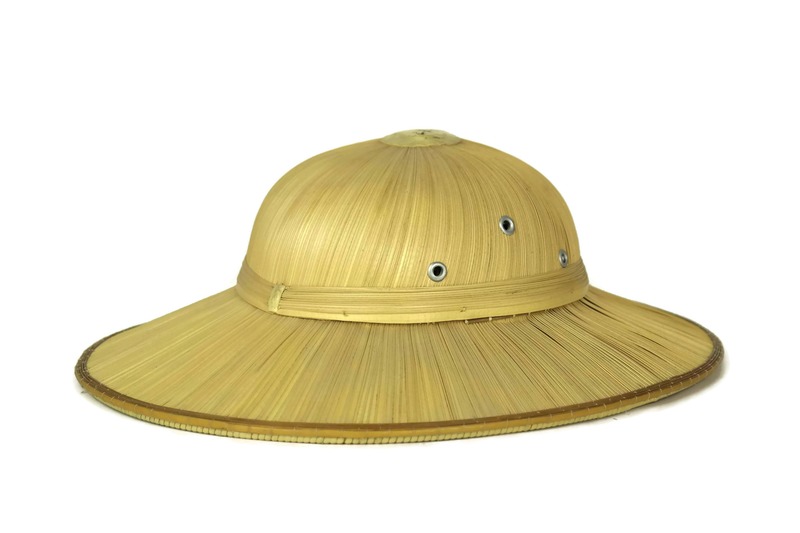 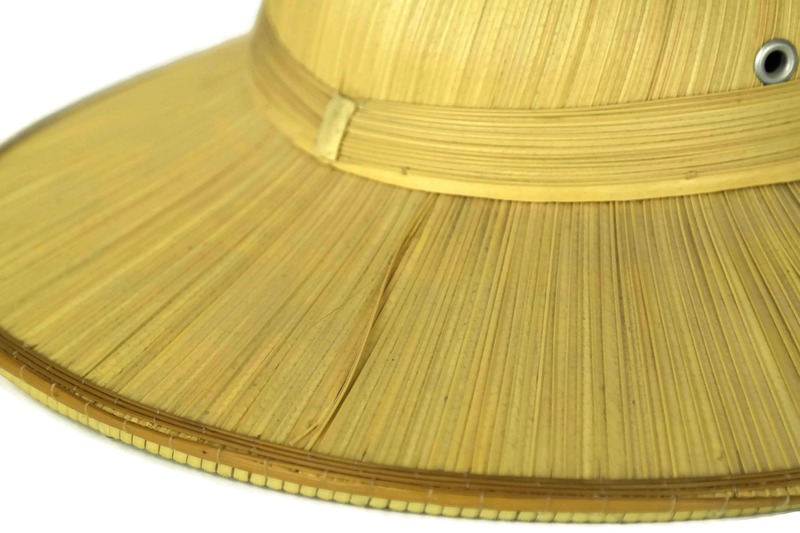 There are three air vents on each side and a wide brim to protect the wearer from the sun. 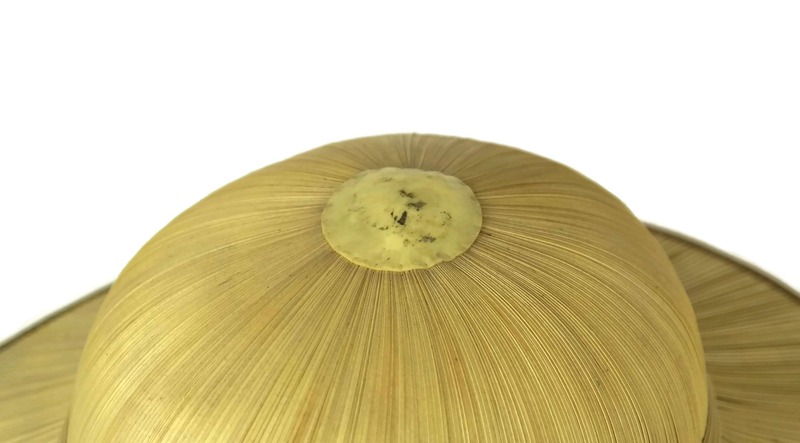 15" Long x 12 1/2" Wide x 5" High (38 cm x 32 cm x 13 cm). 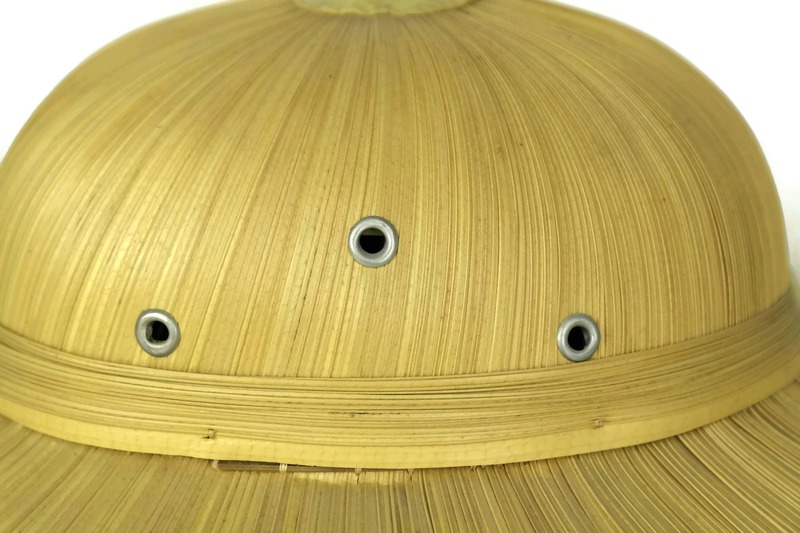 The internal circumference of the helmet is 22" (55 cm). 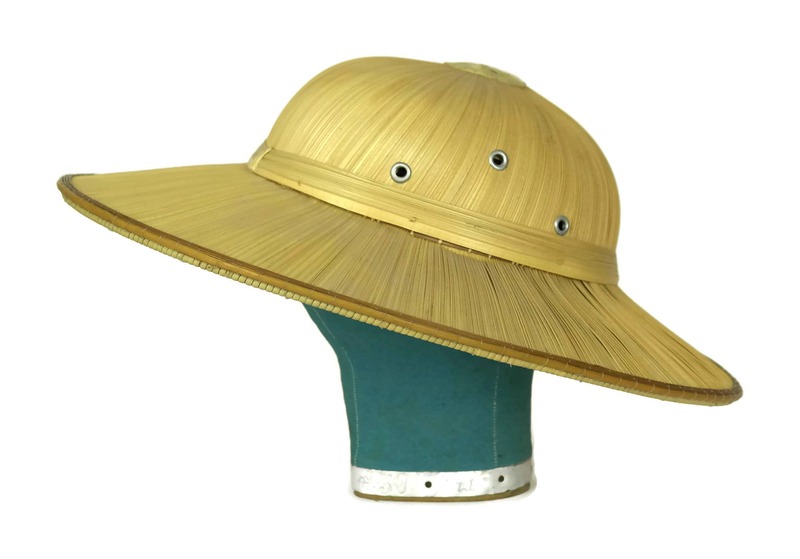 The jungle safari hat is in very good vintage condition with light signs of age.